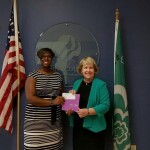 The Elsa Sule Foundation delivered a grant check to Girl Scouts of Western Ohio. 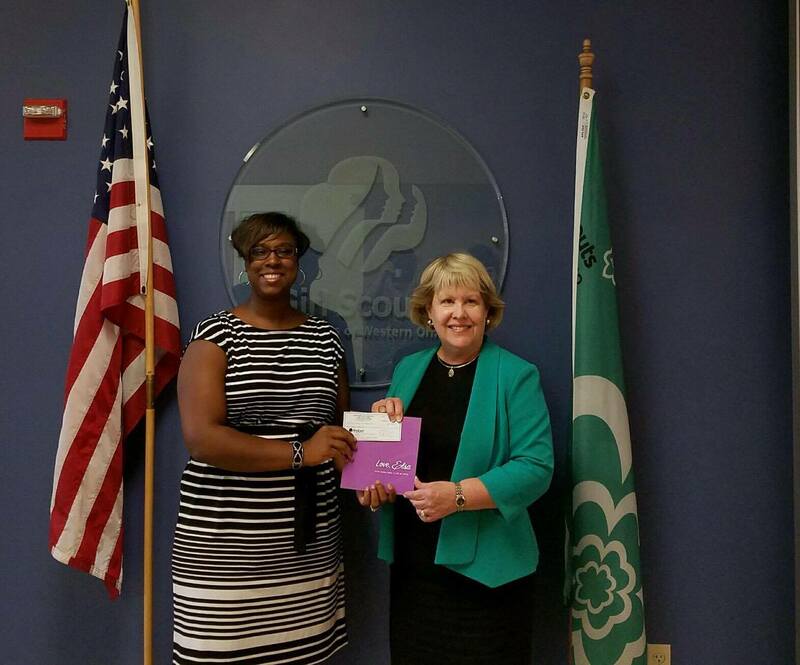 The Community Outreach Program of the Girl Scouts of Western Ohio provides a progressive engagement experience for girls from economically disadvantaged areas with limited access to Girl Scouting so as to build girls of courage, confidence, and character in the Cincinnati area. 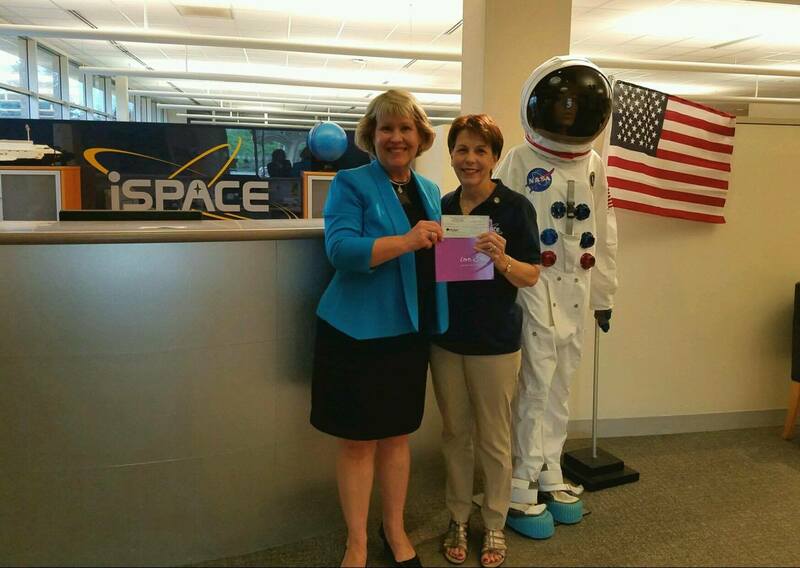 The Elsa Sule Foundation delivered a grant check to iSPACE, INC. to purchase three portable lab sinks for their STEM Learning Programs at their new facility at the Great Oaks campus. It was exciting to watch the rising 1st graders in their lab coats performing chemical experiments at the summer classes of iSPACE camp, while the older students were refining their robotic programs, while other groups experimented with physics principals, and others worked in electronic media presentations. 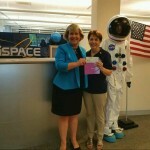 iSPACE: igniting imagination…….fueling discovery…..sparking success by providing hands on opportunities for pre-K through grade 12 students to experience STEM in an engaging way; thereby encouraging more students to aspire to STEM careers. 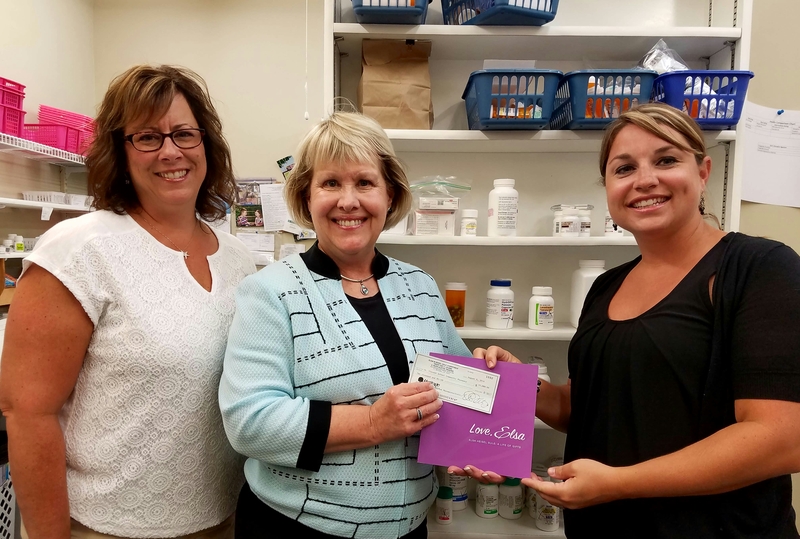 The Elsa Sule Foundation delivered a grant check to Faith Community Pharmacy located at 7033 Burlington Pike (KY 18) Suite 4, Florence, KY 41042 (rear of building), for the purchase of Non Sampled Pharmaceuticals for their clients in the Northern Kentucky counties. 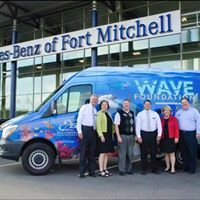 The Elsa Sule Foundation provided an outreach vehicle to the Newport Aquarium known as WAVE on Wheels. The WAVE Foundation brings the animals directly to the students for a hands on learning experience. This is one of the two vehicles the Elsa SUle Foundation has provided to the WAVE Foundation. The Elsa Sule Foundation presents a check to the Carnegie Arts Center. 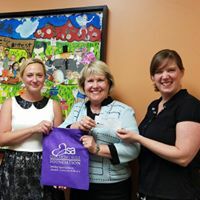 This grant will help the center purchase art supplies and hire artist to help teach children in the Greater Cincinnati area. The Elsa Sule Foundation sponsors the annual caregivers conference in Northern Kentucky. 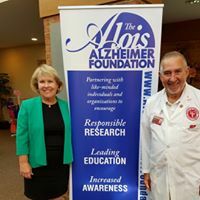 This event that is held the last weekend in August provides families and caregivers of Alzheimer patients with insights and information on the disease, as well as information on estate planning, tax planning, financial planning, long term care, insurance, guardianship, Medicaid planning, and ways to manage lives. 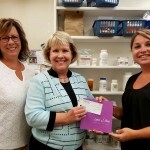 The Elsa Sule Foundation delivered a grant check to the Northern Kentucky Symphony. 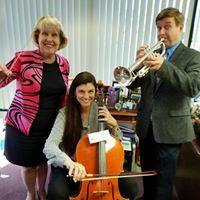 This grant will help children in the Greater Cincinnati area experience music through different outreach programs. 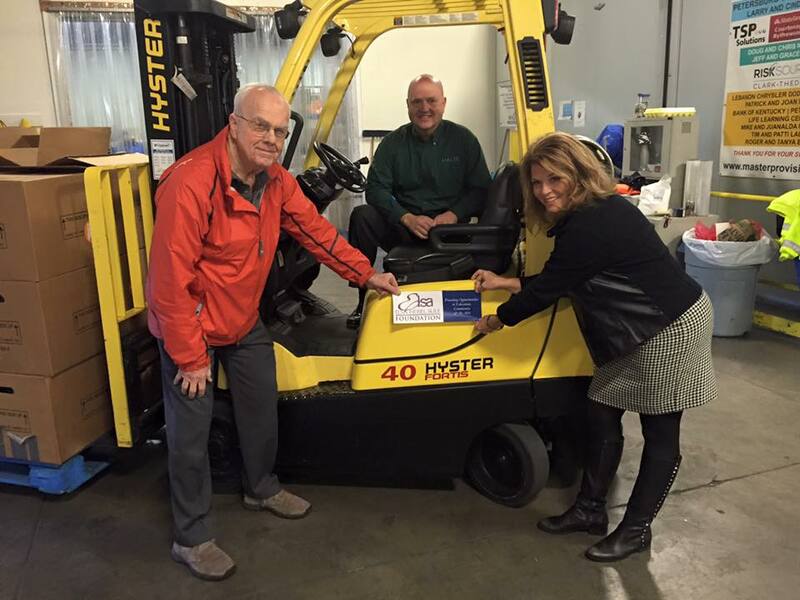 The Elsa Sule Foundation Presents a check to Master Provisions. The grant was used to help them purchase a new fork truck that will allow them to operate and serve the northern Kentucky community better. © 2019 Elsa Heisel Sule Foundation. All Rights Reserved.